A coworkers birthday got me motivated to make a beer-inspired dessert. The Chocolate Stout Cake, previously featured on my blog, is a favorite so I made it again. But to shake things up a bit, I drizzled it with a Salted Caramel Beer Sauce. 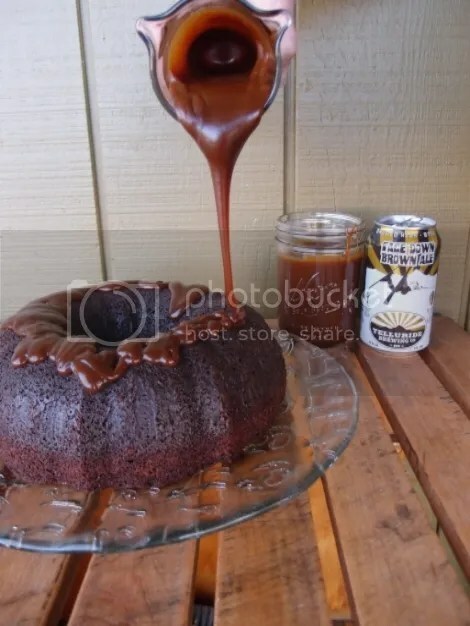 This Salted Caramel Beer Sauce is amazing! You will find yourself looking for anything to put it on, and eating it by the spoonfuls. This sticky, ooey, gooey sauce has the perfect amount of saltiness to balance its naturally rich self. 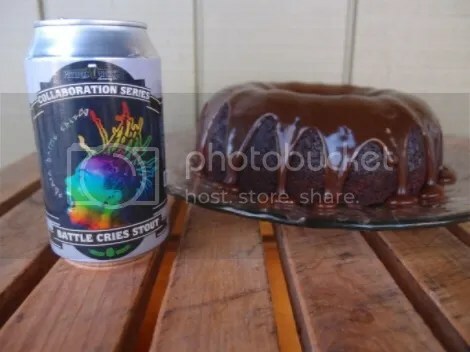 Ironically, the beer used in the cake was the Salted Caramel Chocolate Milk Stout by Pateros Creek Brewing (Fort Collins, CO). 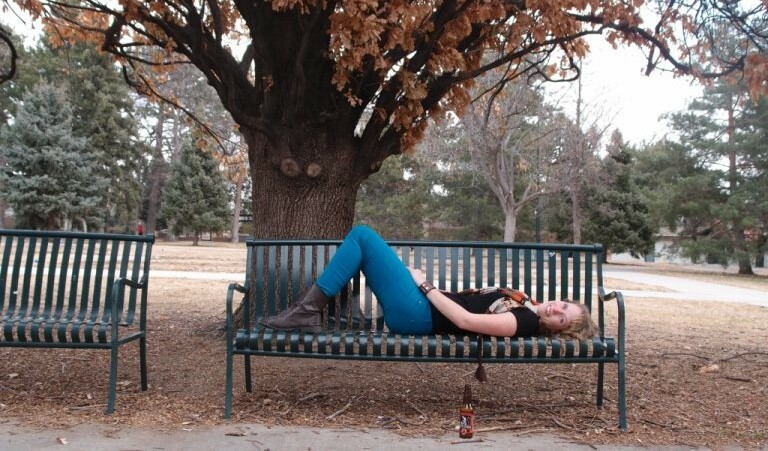 There was a lot of chocolate coming through in the nose and a hint of sweet caramel. The chocolate definitely powered through more in the taste. It was good but it was hard to pick up on some of the caramel and sea salt notes mentioned. 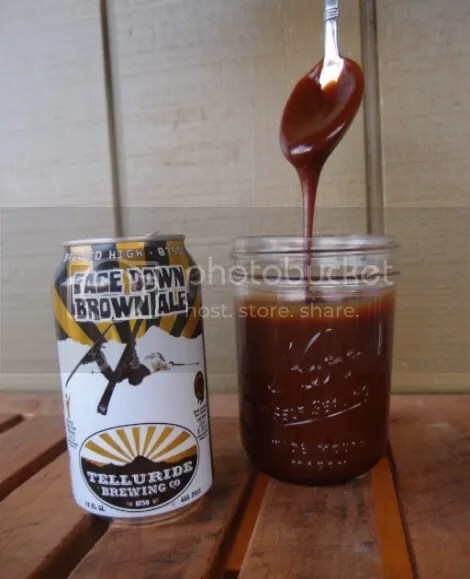 For the caramel sauce I used Face Down Brown by Telluride Brewing. This is one of my favorite brown ales and I thought its malty, chocolaty character would do well in the caramel sauce. The Chocolate Stout Cake has been presented on the blog before and the recipe can be found here. The caramel recipe I found over at The Beeroness. Jackie has a wonderful blog with so many mouthwatering recipes! The ingredients are included here but visit her blog for the full instructions. This dessert turned out wonderful. 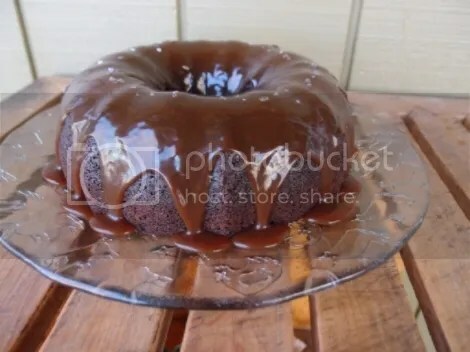 The caramel sauce is really rich but a little drizzled on the cake was divine. The recipe makes quite a bit so you will also have plenty for topping your ice cream- yum!! 😀 Happy my first time making caramel was successful, I just might get addicted! Yum!! 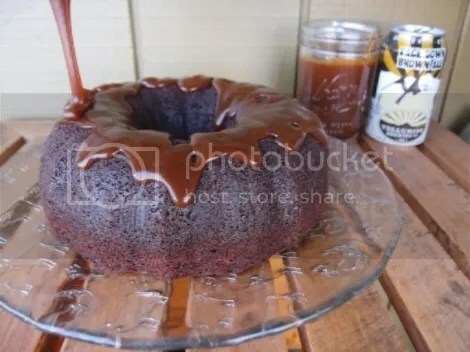 that caramel sauce is gorgeous and this cake looks divine! Thanks!! It is super delicious- I need to make again soon. Thanks Bernice! 🙂 we just finished off the caramel- I’m gonna make more! Wow how lovely! 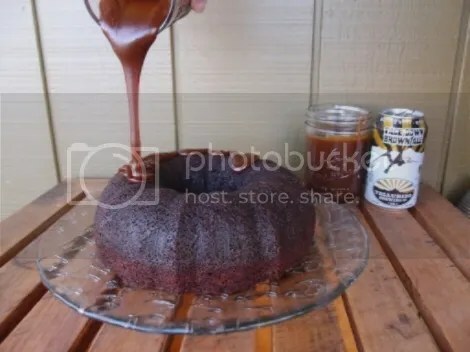 The salted caramel beer sauce is just a divine idea and on this cake must be perfect. I would like a big slice please. Happy Holidays. Hi Teresa- I wish I could share with you! This caramel is so amazing! 🙂 Happy Holidays!